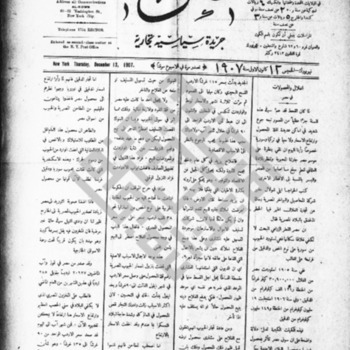 An issue of al-Kown dated January 30, 1908. An issue of al-Kown dated May 16, 1907. An issue of al-Kown dated May 9, 1907. An issue of al-Kown dated February 28, 1907.